I recently styled this Caillou party for my friends at Birthday Express. 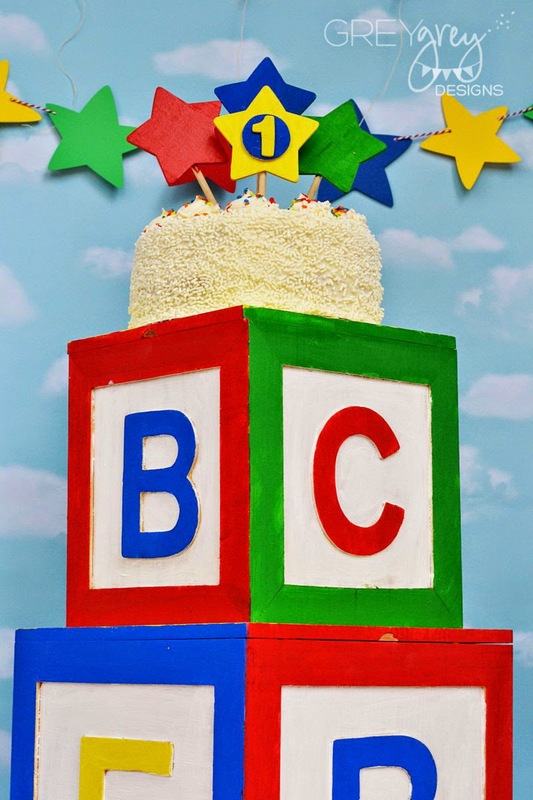 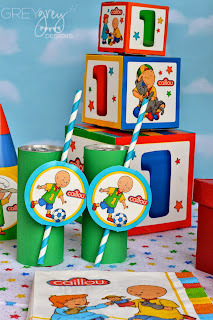 Caillou is a great theme for little ones, but particularly for 1st birthdays. 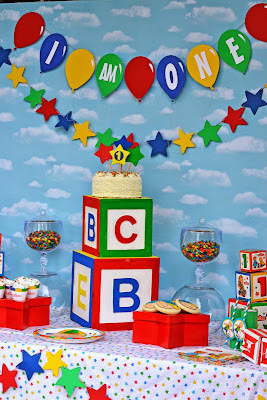 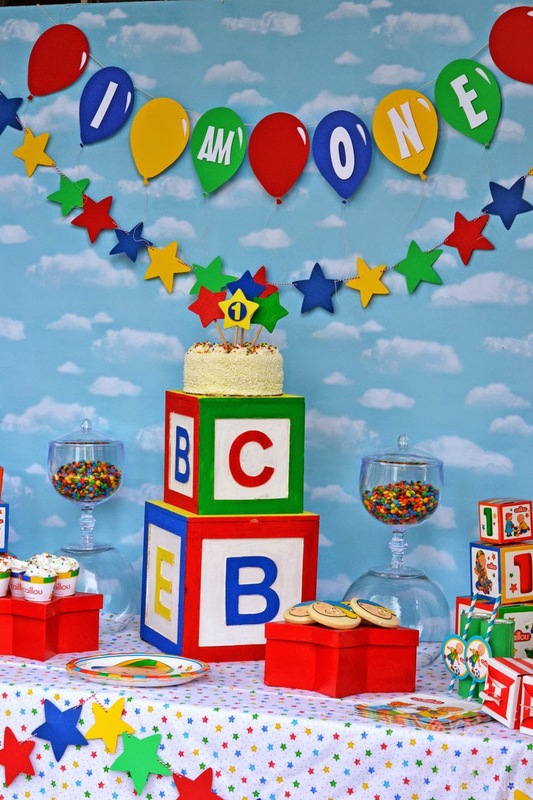 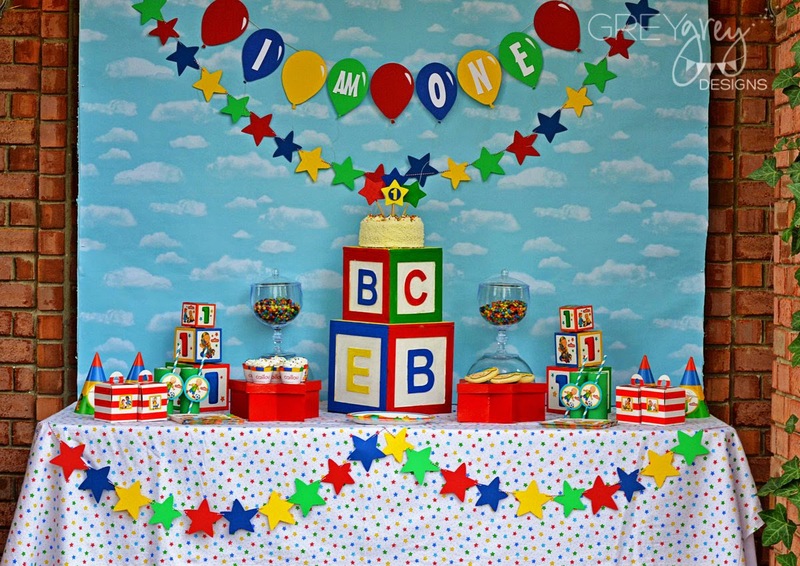 The primary colors and sweet theme really lend well to baby's first party. I started my design by incorporating baby blocks as my cake stand. You can buy these at craft stores in raw wood and then paint them any color you choose. 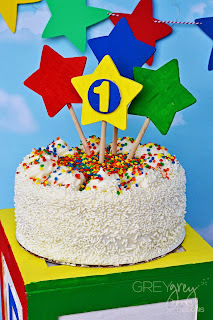 The cake on top is a grocery store cake that I customized by adding rainbow sprinkles. 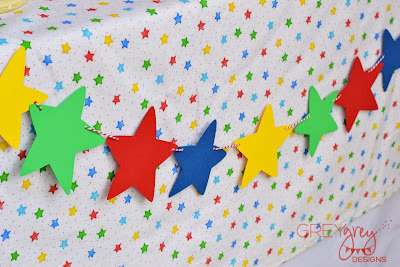 I bought these wooden stars at the craft store and painted them and added them to wooden dowels for a cute, and inexpensive cake topper. 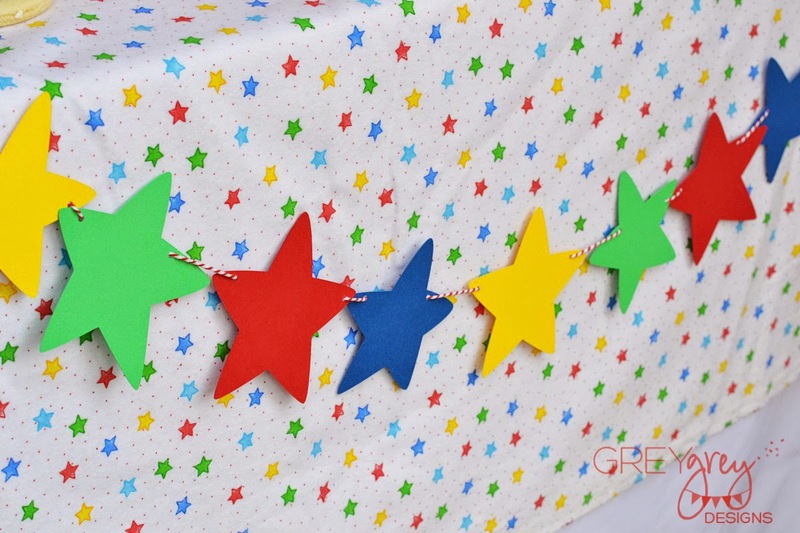 Since the design of the Caillou party supples incorporates a lot of stars, I picked up this flannel baby fabric with primary color stars and added it to the top of my table for extra interest. Three yard of fabric covers the top of a 6ft table, and you can use it again for another project after the party is over. 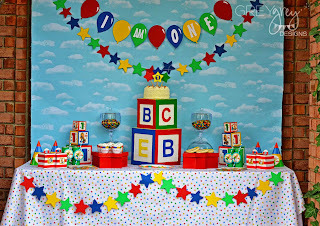 My friends at Piggy Bank Parties made me these adorable paper star banners for the front of the table and the "I AM ONE" balloon banner for the backdrop. 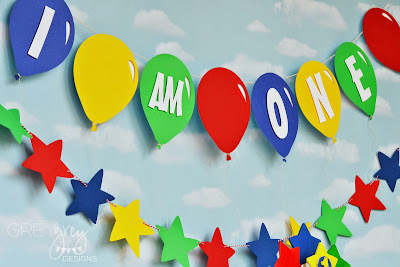 Each balloon has a 3D quality and even has real strings! 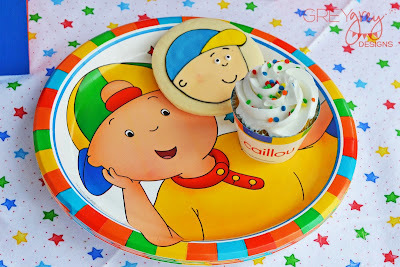 For the other desserts, I did some simple white cupcakes with rainbow sprinkles and some adorable Caillou Cookies. I displayed them both on these chipboard star boxes that I painted red. 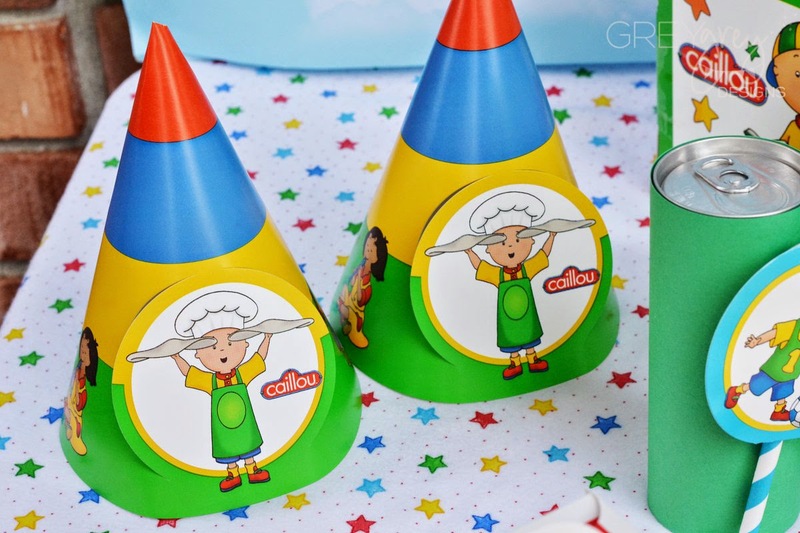 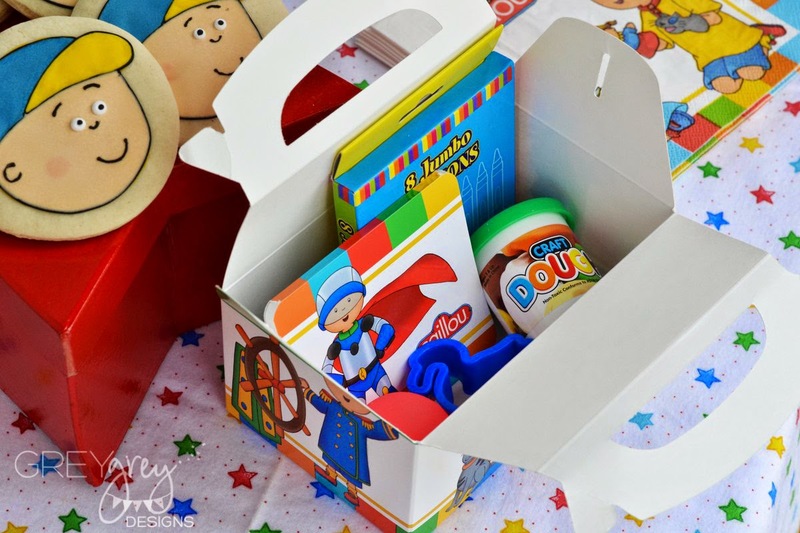 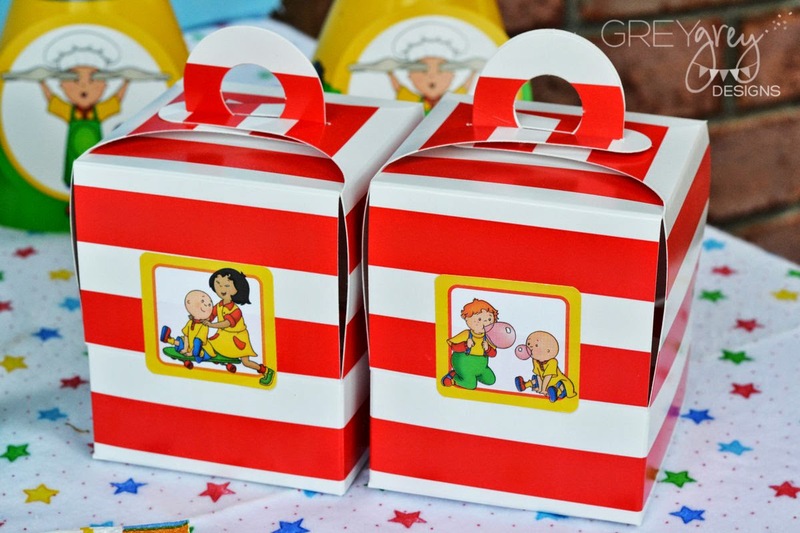 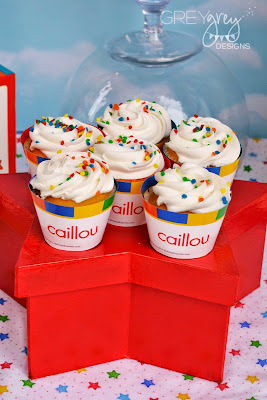 These Caillou Party supplies from Birthday Express are so fun and sweet. 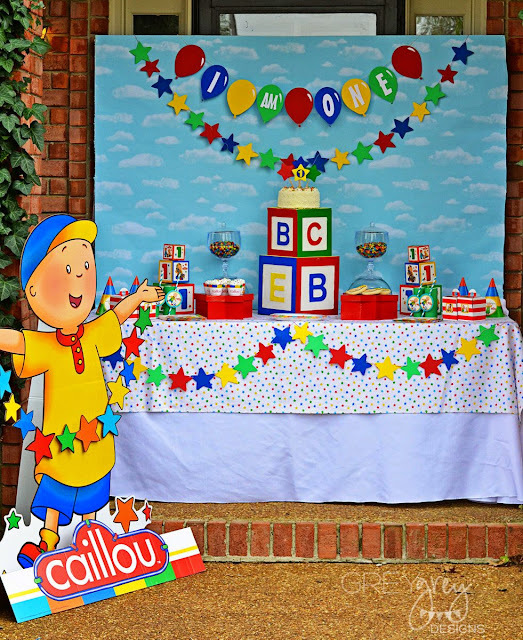 I love this giant Caillou standup. 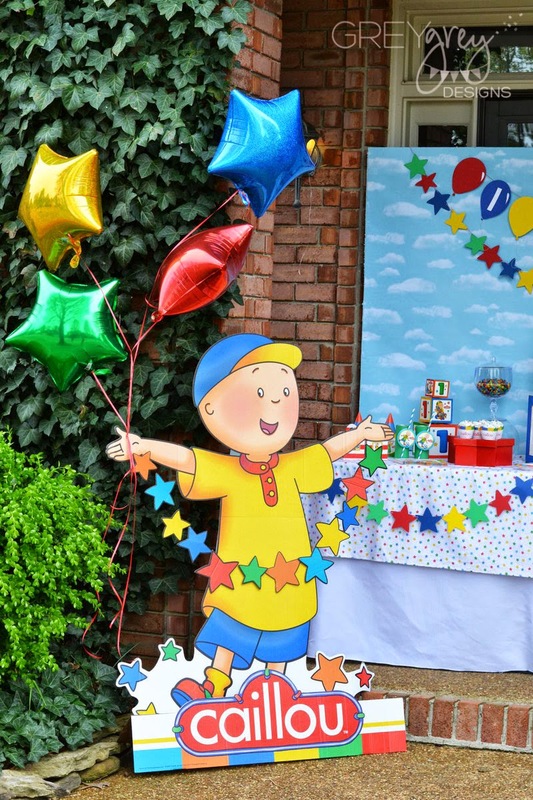 When I was putting it together, my little guy was so excited to have a giant Caillou! Send your guests home with a really cute cupcake favor box! 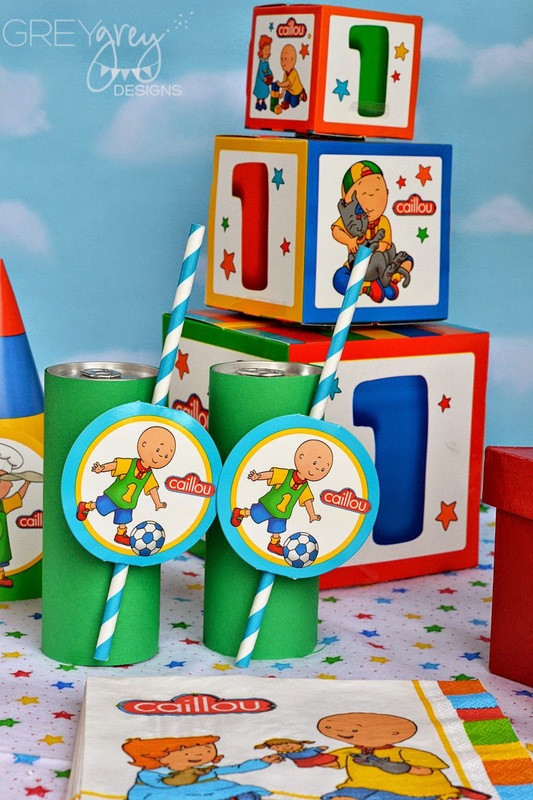 I added some Caillou stickers on these to bring them into the theme. For the little ones, this favor box is filled with super cute Caillou items! 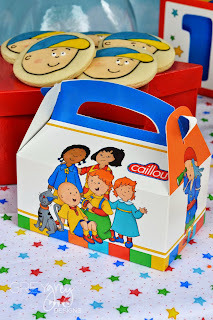 And now, you CAN WIN a Caillou Party Pack from Caillou and Birthday Express! Caillou and Birthday Express have donated a HUGE package of fun stuff for one lucky entrant to win! 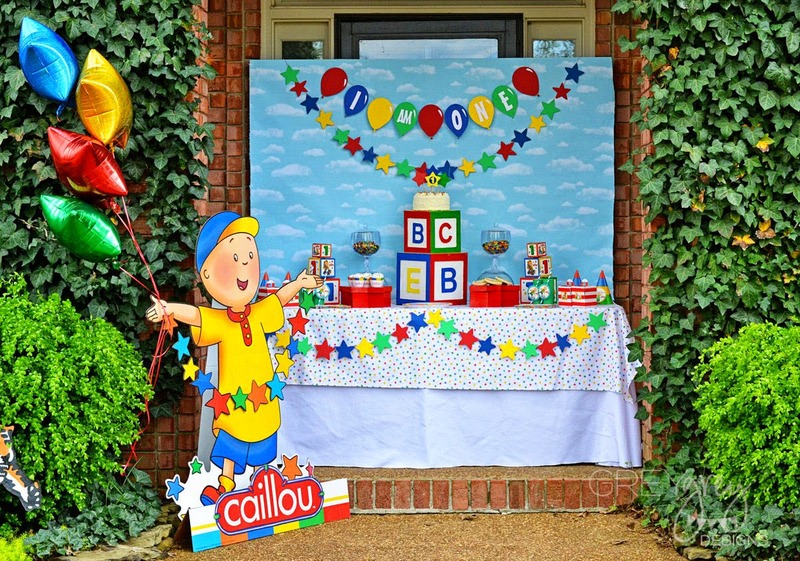 It's so easy to enter! 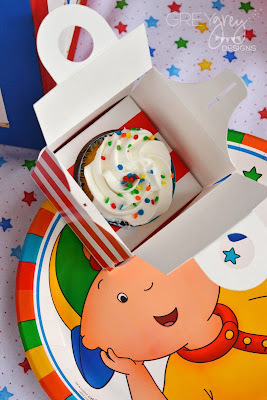 Just follow the instructions below! 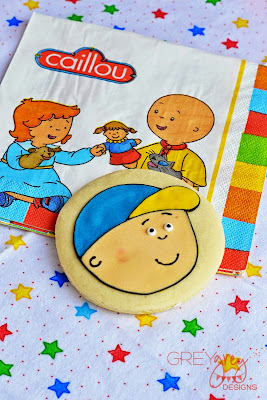 My kid is such a huge fan of Caillou. 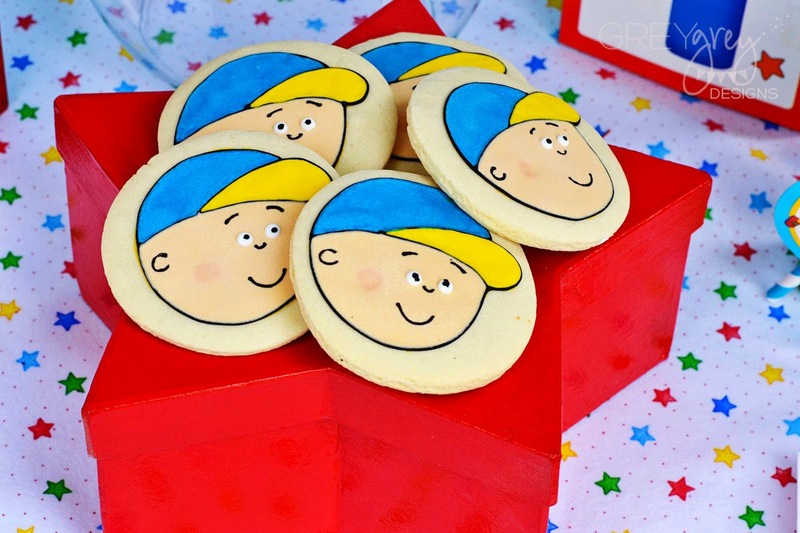 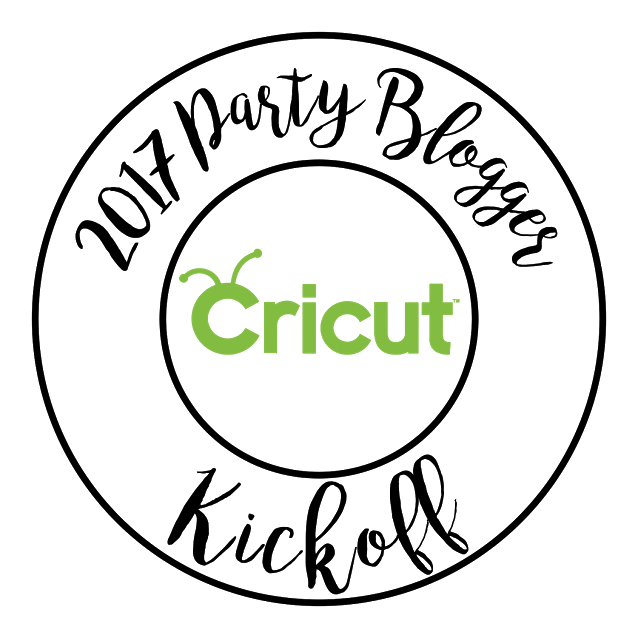 This would be perfect for my Jack.